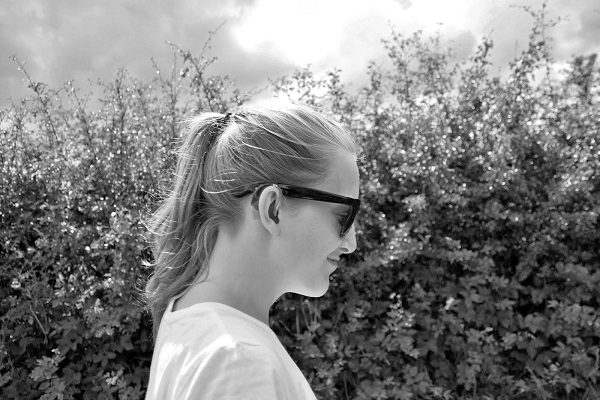 Today Ellie from Deafie Blogger talks to us about mental health alongside disability. 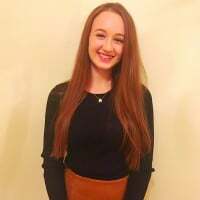 Ellie is a profoundly deaf blogger and deaf activist who is passionate about deaf awareness and campaigning for deaf people and who's motto is: ‘Deaf people can achieve anything they dream of, given the right support’. For us who have a disability, we usually think about our physical health. Whether we are deaf (like me), blind, autistic, have cerebral palsy or any other disability, we might focus more on how our disability affects us physically or in a sensory way, for example; whether we can hear, see, walk or talk etc and how that disability affects what we can or can't do. We might not always consider our mental health and how our disability might affect us mentally or emotionally. Learning to understand our mental health is very important. We all want to be happy in life, but this isn't always easy if we have a disability which makes life difficult, if we feel different to others, if others don't understand or if we are in pain. It is helpful for all of us to look after our mental health, especially if life can at times feel really stressful. Many people can experience mental health problems at some point in their life such as depression or anxiety. Understanding our mental health is really important for keeping ourselves well. This might sound quite strange, but we might not always understand our emotions, why we feel as we do. Learning to recognise different feelings such as anger, sadness, frustration, loneliness etc. For example if we feel angry, it might help to talk this through with someone we trust, the feeling might then make more sense to us. Some days we might feel as though everything is getting on top of us or we can't cope. Stress can have such a negative effect on our wellbeing, so occasionally we might just need to take a few minutes 'out' to just sit, relax and just concentrate on the here and now. If I find life getting too stressful, I'll just take a few minutes out to chill and look after myself or to get out in the fresh air. You might think this is a strange thing for a deaf person to say, but what I mean is you’re having a bad day, just taking some time to just concentrate on what you can see, hear, touch, taste and smell if you are able, it might just be enough to stop any troubling thoughts or worries in your head. Being able to just 'be' is a good tool to have. Looking after our mental health doesn't have to involve big changes or having huge goals. Small, but significant steps are usually far better to improve our wellbeing. Sitting in the sunshine, eating an orange instead of having a fizzy drink, singing in the shower or dancing along to our favourite song can all help our feel good factor. A good skill to have is to learn to be kind to ourselves. Our disabilities might not allow us to do everything we would like, so there are no hard and fast rules, what might work for one, might not another, it is important to do the things which work best for you, to identify little things which make you happy, which mean something to you. It's good to remember that although living with a disability gives us more challenges, if we can be more mindful of our mental health, then this might help us to live happier lives. Have you found that disability has had an effect on your mental health? How have you dealt with this? Do you think there is enough support for disabled people and mental health? Share your experiences now. If it wasn't for my physical issues and lack of support with them I doubt I would have any MH issues at all. Instead I have many. Sometimes I can deal with them but mostly I can't. The simplest thing for me to do is to 'run away'. Either I sleep as much as possible or I visit women I pay for just to feel close to the world for a little while. Neither option is sustainable long term and, at the moment, isn't coping. I have found talking and explaining so much makes me feel worse which is why I stopped calling Samaritans. It's better talking to someone who has some idea of what I'm going through already. I should try therapy again but NHS support is minimal and I just cannot make the effort to arrange it privately. Hello I have disabilities you can not see both deafness and mental health. The problem is that with deafness is that if you can not hear is the social connection that you have with people. I find asking people to politely repeat something they have said then they get irked or short with me. You heard what I said I know you can hear me the words ringing in my head. When I know I have to ask the look of impatience and no tolerance. I once was in a meeting heard nothing all the time and sat there. Asked for a view and opinion on a matter I had to admit can not understand you all. Told them just for once put your fingers in your ears and now talk. That is what I hear. The response was a bit more understanding. Why can not people speak clearly? I watch old movies because I can understand and know and hear what they are saying, New ones never watch unless audio and subtitles on. I have great support but my social outlook is a lonely one because the communication differculty I have with people. Worst place is the supermarkets cant not understand any cashier and have ask how much? Also other such places as other retail outlets and cafes and eating out. I go out to lunch once or twice a month with a lady who organises it and others attend but most of the time I can not hear anybody. I do enjoy this but with increasing getting older it is becoming harder. My hearing is genetic but I have found out could have been made worse by addiction. My drinking of thirty years. Even though I have stopped for ten years the evidence is there that long term drinking effected my health physically and mentally. I am not classed as deaf but I do suffer Tinnitus. It is not severe enough to stop me hearing people but in crowded areas I have great difficulty hearing someone next to me. Also a lot of women have a voice pitch that makes them difficult for me to hear them. I know it is polite to look into someone's face when you talk to them, especially if you are a man talking to a woman. I HAVE to do it so that I can fill in blanks in the conversation by lip-reading. Unfortunately accents, which I have always had trouble with, give me even more problems now as the lip movements are different. The trouble with ANY disability or difficulty tends to isolate you and can accentuate MH issues. Hi @karenculshaw I am sorry to hear about the difficulties you are going through, I hear this quite often from people who have had an accident or had a recent diagnosis, it can be a real shock to the system. I have had a lot of surgeries and required bed rest for weeks afterwards each time, it got me really down and so I decided to use the time to do things I have wanted to do but not had the time. I watched a lot of TED talks and documentaries to learn new things and I also learnt to crochet and made a blanket. Is there anything you could do to pass the time during this difficult time of being unable to walk? I know this wont solve everything but perhaps it could help? Also if you need any support regarding your ESA appeal then please do ask our benefits advisors or you can call our helpline on 0808 800 3333. @Topkitten when you mention tinnitus, I just wanted to share this video. My family member has tinnitus and swears by this technique, obviously this shouldnt replace any medical advice/treatment you have had but it might be worth a try? Hi I have MH issues it manifests itself as anxiety. It can be really debilitating at the moment and the last few days it has been a fight to keep my anxiety under control because MH is silent so I can get on with my job but it's difficult. My CP is a massive part of my anxiety because it's something that I can't control and when I see the deterioration of my condition it worries me. @jacquelinemarie, anxiety can be very difficult to deal with especially in a work environment. May I ask if something in particular triggered it? For myself it is a real battle to deal with strangers and strange places and, because of my history, it is at it's worst when dealing with doctors. I used to be a healthy and very outgoing sort of person and I find it so difficult to understand why I now have this problem. It can trigger panic attacks, in my case, which leave me shaking and crying and just trying to get away from whatever made it worse. However, knowing what causes it allows me to avoid the worst situations and make it possible for me to function relatively normally most of the time. There are times though when I can't, no matter how hard I try. For example, I was improving by meeting people through the MEETUP site but lately I have avoided going to the stuff I intended to because I haven't been able to cope. Anyway, that's enough waffle about me, perhaps you can open up a little more so we can help you better? know we all have but it's how my brain works. I think because of being on my own for most of the time in regards to my CP I think I have worried about it so much I have taken it to the extreme so any noticeable changes to my health freaks me out and I going to panic which then triggers the anxiety. You mentioned Meet up groupsI think that would be really good for me but there's nothing in my area. What meet up group have you been to? MEETUP is a site online which also has an app for phones. There are a great number of different groups and, when you sign up, it shows those around you up to 50 or so miles away. Being able to drive lets me go to not just those in my town but also in nearby towns/cities. The site is "meetup.com". I hope it's ok to put this here. Of course @Topkitten I link to it quite often! You can click on the meetup link here. The only thing I would say about MeetUp is that the people who set up groups have to pay to advertise groups on there so it is always good to have a look locally as well as there are lots of smaller groups who cant afford the monthly membership fee for meetup. Have a look at your GP surgery, library or local community centres to see what is local. Good point @Sam_Scope . Another place I can suggest is if you have a local Quaker House. The one here rents out rooms to lots of different every day of the week. Another, on a more religious level, would be a local Salvation Army centre (or would that be a church?). my CP has taken a gigantic toll on my MH, I have alot of Anxiety, get startled by pretty much anything & everything (even while falling asleep or during sleep i'll be startled awake) i bite my nails & tear cuticles along with skin off until my fingers bleed, i grind my teeth constantly, become easily guilt-tripped (by worrying about past mistakes even when the other person involved in those mistakes has forgiven me multiple times) i often have false memories & obsessions that terrify me & struggle with bouts of Depression that become Suicidal alot. my family has had a long history of Mental Health issues (from Bipolar Disorder, Depression, Social Anxiety, ADHD, and ODD (Oppositional Defiant Disorder), and i also suffered really bad trauma growing up & have an inferiority Complex and i was treated very poorly in middle & high school to the point where i dropped out because the teachers weren't special needs teachers & didn't want to understand me to teach me, some of them were verbally abusive towards me & would rush me or yell at me. Hi @tf813247, I'm so sorry to hear that you've been suffering. Do you have any support in place to help you cope? There are some great resources mentioned in the comments above that you might also want to look into. I hope today is as kind as possible to you! @PippaScope no, i did go to a therapist once & had a mentor (who was also an MH professional & had CP) i didn't get anywhere with the therapist & i didn't mention it to either of them because they (my MH issues) weren't as bad as they are now. plus i live in the U.S. and idk if the links in the comments would help because this site is mainly based in the UK & alot of the users here live in the UK. Hi. People can write even wax lyrical however - imagine a place where you scream You want to open up to somebody body yet it takes months. I am 46. In part a success story - nobody I have ever met in mental health wards wants to die. @jacquelinemarie that's how i feel. i'm always worried about premature againg & arthritis setting in but not knowing when it'll happen. @Colin3371 I have had Tinnitus for decades but anxiety for only 3 or 4. It is certainly not part of my MH issues as it predates them considerably. I tried what is shown in the video but it had no effect at all. Hi everyone, I've suffered from depression and anxiety on and off for years. I was in an abusive relationship for 20 years and that has had an impact on any relationship I've ever tried to have. Now I'm disabled with OA in all of my joints and a disk desease in my back. Pain really depresses me and the change in my life doesn't help. I used to be really fit and was always on the go and now the change just kills my spirit. I loved walking and doing physical challenges. Now I'm crippled with pain and yes I know I sound self pitying but I feel lost. My father died just over a year ago after falling and badly breaking his neck. He died in hospital after developing pneumonia and watching him suffer left me feeling shattered. My daughter whom I was close to has fell out with me and no longer answers my phone calls. I'm trying hard to force myself to be up beat but it's just an act that does not help. I feel alone although I have a man who loves me. I'm tired of trying and sometimes can't wait for it to end. That all said I know I have no choice other than to soldier on and would never attempt to take my life. Reading other people's posts have helped me tonight. I'm not the only one who's struggling to make sense of their life and alot of you have more to contend with than me. Well it's 5.30 in the morning and I'm going to attempt another go at getting some sleep. Hello @janejr Pleased to meet you. Sending a message of support and understanding. I know reading you post how tough and how much of a struggle life is at the moment. Please can I say you are important, not others at the moment. I am sorry about the relationship with your daughter, that is important mother daughter relationship that matters. What matter right now is you. If your daughter is unreachable, time is a healer. Please try to ask yourself what do you want from life. All of us in the community understand your issues and problems. Make some goals for yourself small steps that is the start. Nothing huge, nothing unreachable. Also my food good food nothing hard or complex. I believe a good start to the day Breakfast I know with illness or mental health struggle to eat, maintain a lifestyle. I make time for me, no TV Radio is on. Calms me relaxes me. I use a diary may I suggest plan little things for your self. I need a structure for the day, put in will do this to day but no time. Example Breakfast well who says early morning, I have mine around 10.30 to 11 am. More like brunch a relaxed affair. Been doing meals for the freezer see my posts. These are little meals my portions for the freezer, usually in Zipbags to help me through the week and beyond. Sorry about me talking about food I am the Spiceman. Little changes to your life. Please can I suggest have a look at lifestyle course, well being course if and when you are ready. I have been like you a suffer of anxiety and depression mine was related to my addiction history, alcoholic for thirty years. Went to many of these course after coming out of clinic. small changes to diet and look at fitness. Clean next month for eleven years. It helped me looking why and who I am. Got loads of qualifications through doing them. By way that was twenty years ago plus. Still look out for anything to improve me, mentally lifestyle. Small steps. Please can I also suggest some of these course there will be one probably near you. Recovery College or similar names have course to deal with mental health issues, disability, how to manage meds. Some of them are all women courses. Most of all that they understand you. It is your choice your life these are little ideas that helped, in my quest to know why am I like this being this person. I use this forum to chat talk listen to people on the community. I have made many friends and hope you will understand, I am here to listen. Sorry for long posts, just I am putting out the hand of friendship. Hello @janejr Good evening hope you OK. I see you have got a post from @Victoriad ; really great useful suggestions. I am sorry about losing a family member. I understand it can be a trauma. Maybe you need to some times to talk about that. There are services out there and I know that could help you. I had councilling and therapy for my own illness. It helps and can benefit yourself. Maybe consider have a look. Remember there is nothing wrong in talking to some one who unlocks any thing you wish to say. The services are very good. My own personal history talking to a professional who is impartial. I will say was useful. No one expects to go through life with out a problem or an issue. Please yes have a look at anything I have suggested, By way am not good in Winter too. So my days do something like as I said before candles with homeopathic oils with a burner. I use Lavender now and again. Yes it cold and wet, snowy out side. Puzzles word searches I do. TV off Radio on or like to night Soul Saturday so CD's with my favourite soul songs. I am the one who buys all those cheesy groovy sixties compilations of songs no one buys that's me. Plus anything Northern Soul or Motown helps me to wind down or just keeps me ticking a long. Do not cost much either. I am back on the dance floor again. Plan for something now if you like. Have a look on the forum for ideas. As I said nothing big small steps. I understand you in pain I know speaking personally, I have muscle pain , but it is how it is effecting you that is important right now. Please can I ask do you have a garden or a balcony small area in your house. Look at herbs many of them are not for culinary use. Do not need much room. Easy to grow, scented not hard work. I have problems with my hands feet, fingers missing have not much strength. I can plant herbs though. Out in the fresh air not long about ten minutes maybe. Try to make some time to come on the forum I will look out for you. As I do for all my friends on the forum, helps with ideas, suggestion, useful information. Please I hope to speak to you soon. Take care in my thoughts and prayers.